It’s May 15th! Why does that matter, you ask? 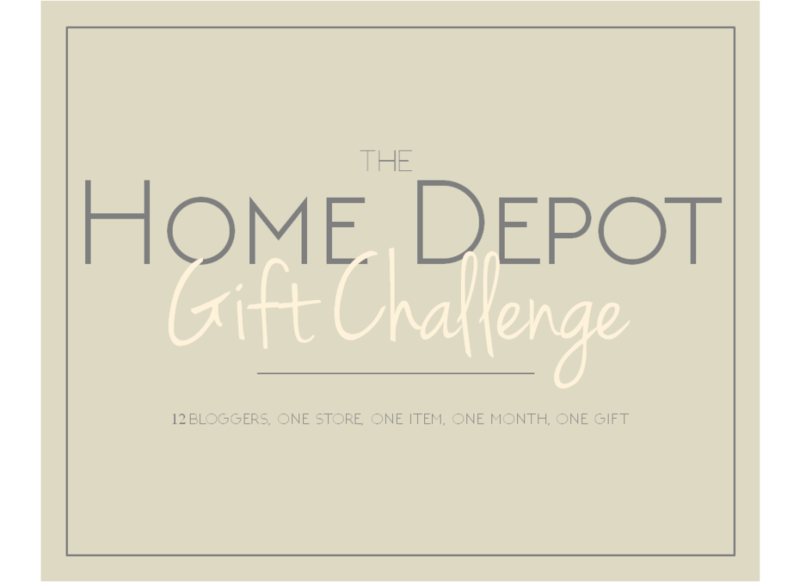 Well, it means it’s time for this month’s Home Depot Gift Challenge! Woop woop! 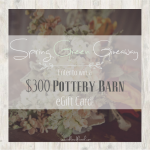 If you’re new here, this HDGC is a challenge where 12 other bloggers and I take the same item from Home Depot, and turn it into a fabulous gift for a specified person. It’s so much fun to see what each other comes up with! I gotta say, this group of ladies is craaaaaazy talented. You do NOT want to miss checking out their projects at the end of this post! So, ready to find out what this month’s chosen item was? A 2×4. And wow, it was actually tough this time around (again!). Do you know just how many things you can make with a 2×4?! This month’s gift was also supposed to be for a new homeowner, so I tried to think of what I would want if I were moving into a new house. 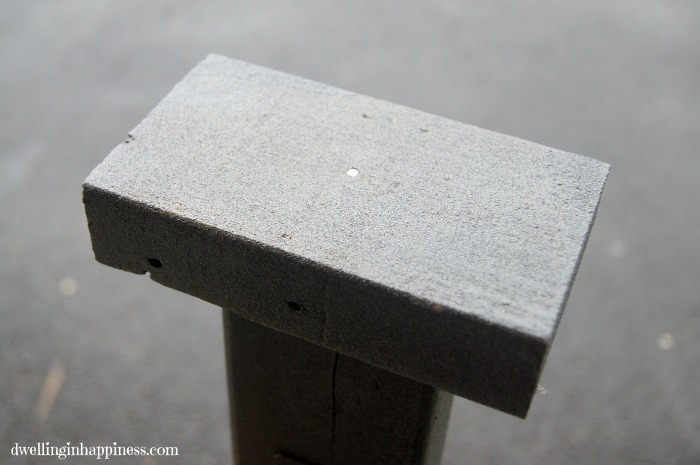 My hubby and I thought about it for awhile, and since we’ve been working out in the yard a lot, we decided to tackle an organizational project that any new homeowner would appreciate! But, having something to coil my hose up on would make it a lot easier to actually put it away. 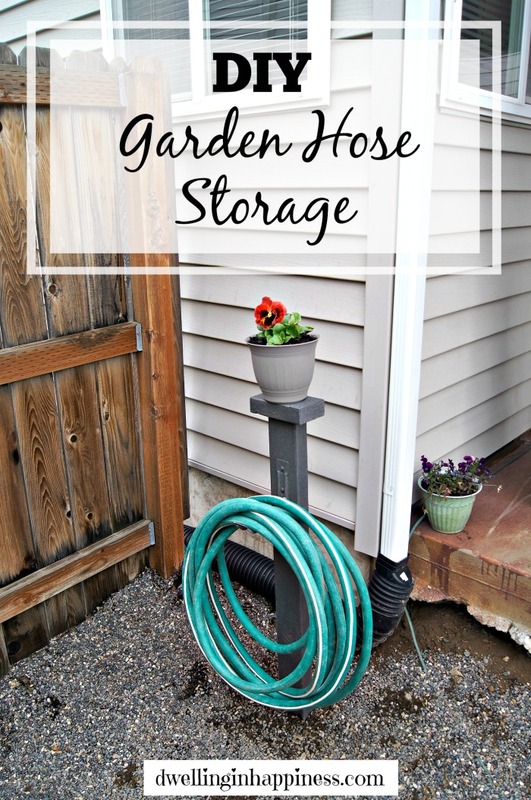 And so, we made a little 2×4 DIY garden hose storage! 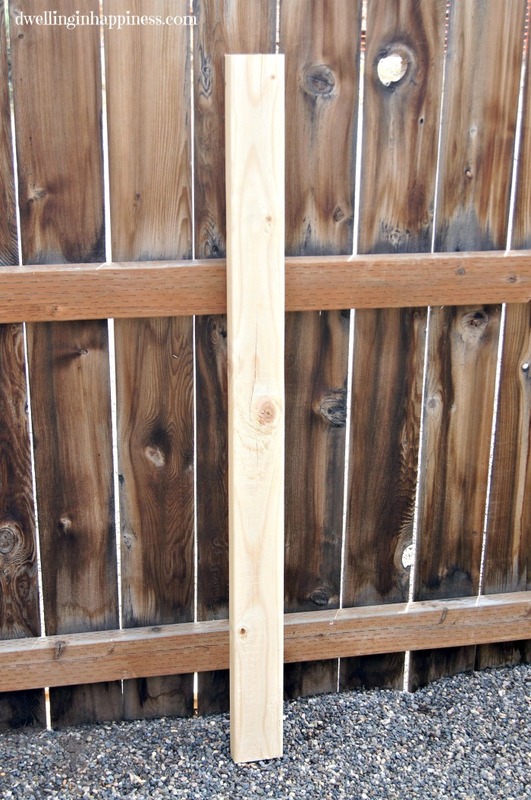 Our local Home Depot cut our 2×4 in half for us, so we had two long pieces. We literally got everything we needed for this project right at Home Depot which made it even easier! You could even make two of these garden hose storages because you’ll have two 2×4’s after cutting. 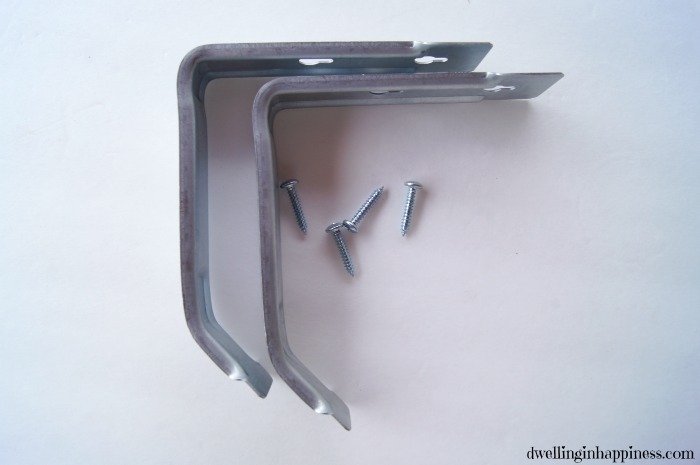 We also found this fabulous pack of 2 utility hooks for something like $2.86 (they were where all the bike hooks were!) Totally a steal, and the perfect size to hold our hose! Again, since there are two utility hooks in a pack, you can make two of these bad boys! First, we started by attaching the hook to our 2×4. We put it close to the top, as we knew a good foot of the bottom of the 2×4 would have to be in the ground to support a heavy hose. 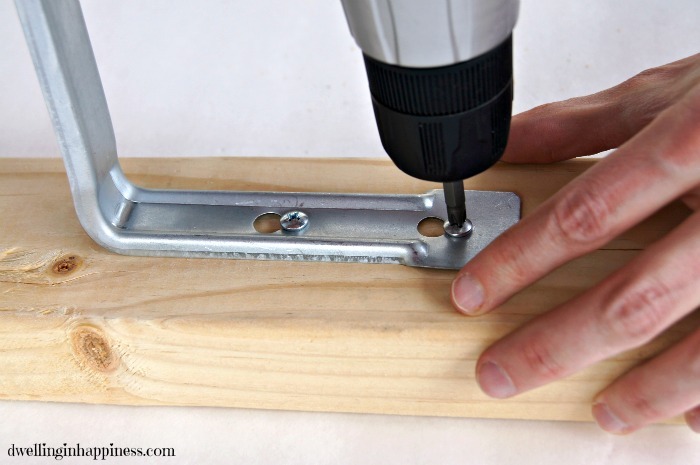 David drilled a couple of pilot holes for the screws. Then, he screwed in the screws almost all the way in, put on the hook, and tightened them. 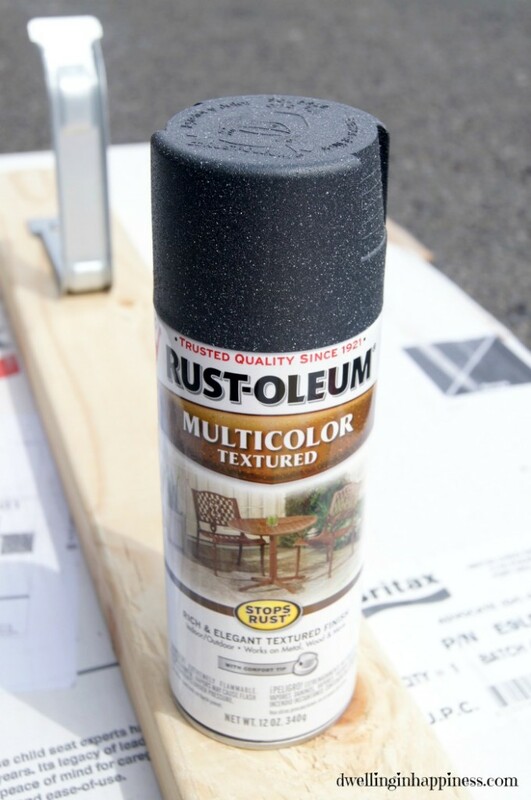 I wanted the whole thing to be one color, so I chose a nice textured spray paint from Rustoleum that would give it a little character. I spray painted the whole thing with a few coats, including the hook. I left about half a foot of wood on the bottom unpainted since it as just going to be in the ground anyway. While that dried, I had David cut another 2×4 to be 6 inches long. This would be nailed down on top of the hose storage, to be able to hold a potted plant. I sprayed painted that piece of wood with the textured paint to match. 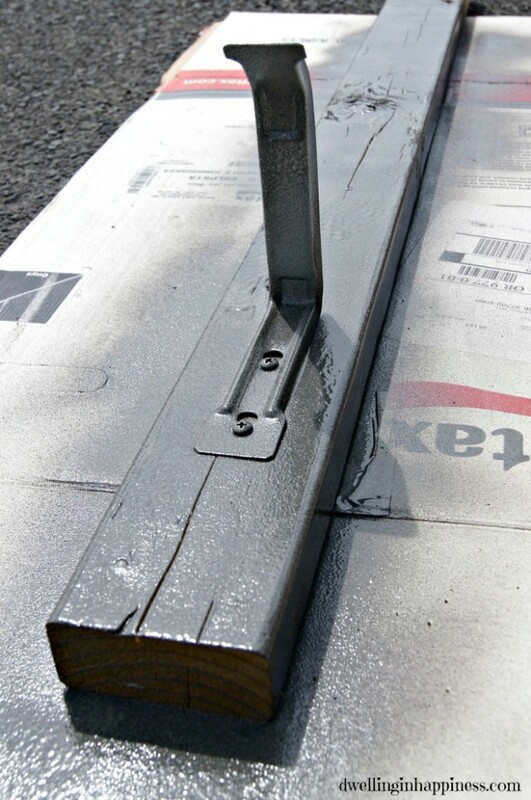 After everything dried, we hammered in a few long nails on top of the 2×4 pretty close together in the middle. 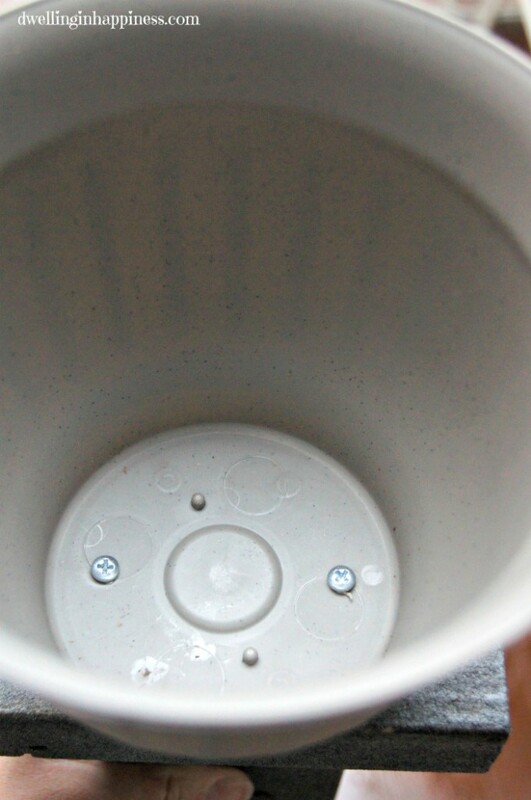 Then we screwed down the flower pot from the inside. We made sure the screws were far enough apart that they didn’t run into the nails. 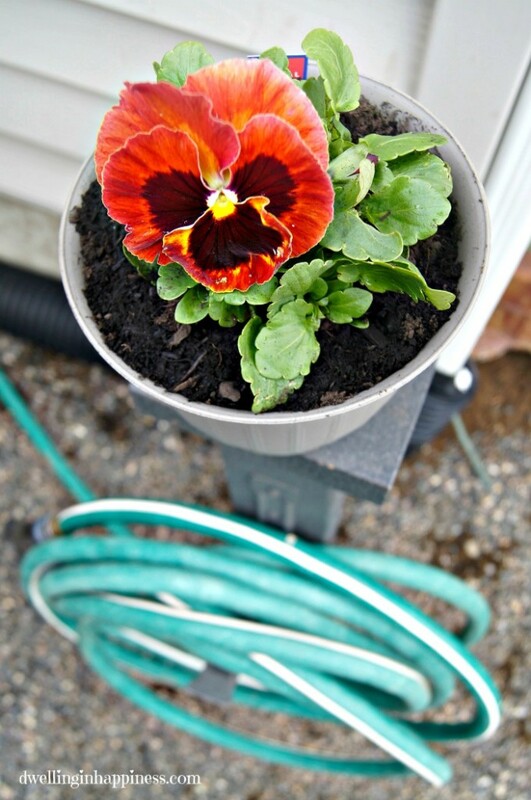 I planted a pretty little pansy in the pot. I felt like the hose storage would be a little bare and boring without it! David dug a nice hole outside about a foot deep, placed the hose storage inside, and then put the dirt back around it and packed it down good. I was a little worried it would fall over with the weight of the hose (and David almost went as far as cementing it! ), but it’s held up perfectly! I think burying it a foot deep was perfect, any less and it would topple forward. Yikes, don’t mind that ugly pipe going down from the gutter next to the house and that cord. We obviously have some more yard work to do this spring! I am SO happy with this hook, too. It’s the perfect size for the hose, and holds up to 20 pounds! 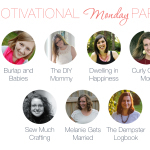 Don’t forget to check out what these amazing other bloggers came up with. 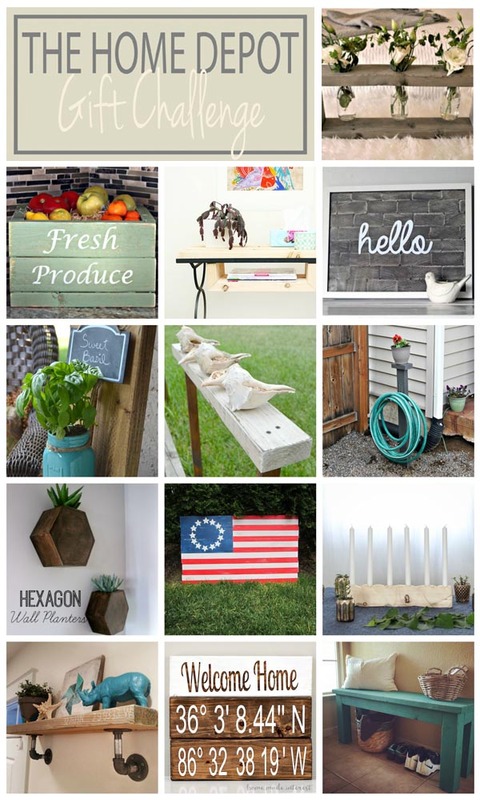 There are some seriously cool 2×4 projects you don’t want to miss! Thanks for stopping by today, friends! Have a fabulous weekend! Amanda, I could use one of these myself, great idea!! You are a genius! This is such a great idea and unique way to store those ugly hoses. Love it! Thank you Katie! We love it so far, and I’m hoping it stays put, too! 😉 Have a great day friend! Wow, that looks so easy and I totally need one of these, my hoses are just laying around int he yard right now, lol. Pinned! Thanks Kat! I totally know what you mean, my poor little one kept falling over the hose because it was just laying all over! Not anymore. 🙂 Thanks for the pin! Ha, thanks Jen!! Super easy, which I love. 😉 Hoping your weekend is lovely! Great outdoor project! This is such a awesome way to store a garden hose. Very cute! Thank you, Emily! 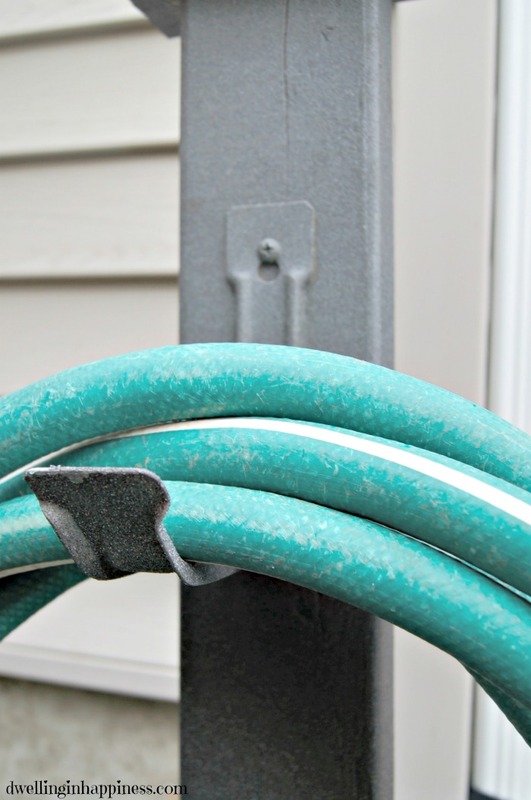 It’s been the perfect solution for our mess of a hose. 🙂 Hope your weekend is going fab! Absolutely love this. I have been trying to figure out what to do with our hose that is always in the way and all over the place. This is perfect and cute too. Thanks for sharing. Oh thank you, Shannon! I agree, outdoor hoses are just NOT pretty no matter what we do. At least the flower on top helps, right? 😉 Have a great Sunday! I love this!! I would have been challenged with this project, too. 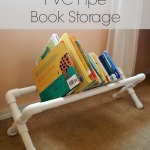 What a great idea and I love unique ways to store hoses and the little potter is so cute on top of it. Thank you Carrie! Ha, seriously, it was hard trying to come up with something fairly unique! 2×4’s are so versatile! I’m loving having an organized hose finally. 🙂 Hope your weekend is going great! Thank you, Kendra! I’m so happy with how it turned out and how functional it is! And how clean it makes my yard. 🙂 Hope you’re day is going great! 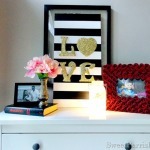 This is such a great and simple project that anyone can do! I love the functionality of it – and its cute to boot! Thank you, friend! 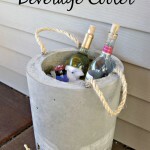 I love functional gifts, and this would be perfect for that new homeowner! 🙂 Hope your weekend is going great! What a great idea! Love how simple the project is! Thank you, Ashley! I love simple projects. 🙂 And it’s so functional! Thanks for coming by, hope you’re having a great week! What a great idea, Amanda! I could use a couple of these in my yard right now! I’m putting this on my summer project list! Great idea! This a s gift that new home owners would really appreciate. Thanks Carmody! I agree, new homeowners always need practical gifts to help them get organized! 🙂 Hope you’re having a lovely week so far! 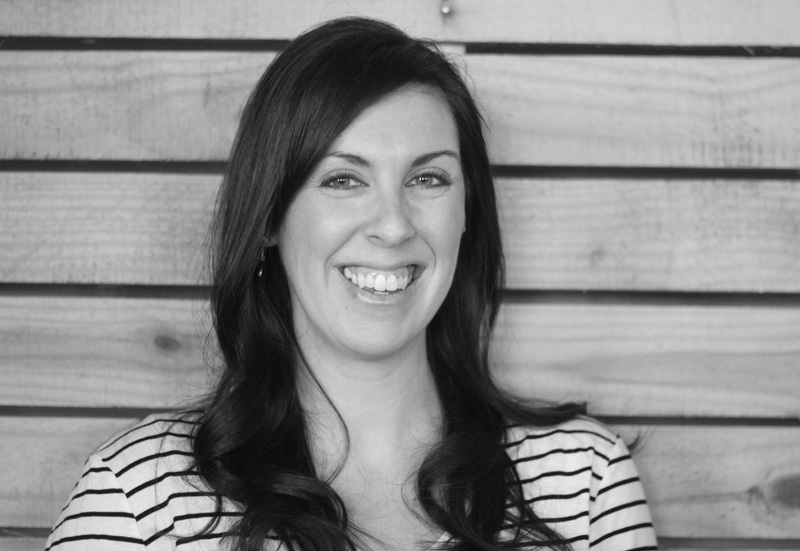 Lindsay Eidahl recently posted…Say Goodbye To Your Old Mattress And Hello To Your Best Sleep Ever! Great project Amanda! I know we could use a few of these at our house! Thank you, Cat! Seriously, us too! We have two made and I gotta say, the yard is SO much tidier. 🙂 Happy weekend! 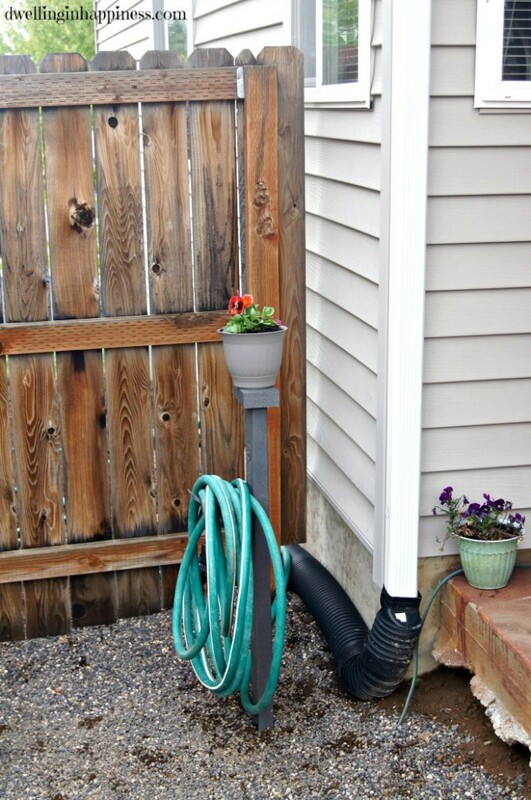 What a simple to make, useful project to keep the hose tidy. Nicely done! Thanks so much, Kate! It definitely does the trick and keeps the hose clean, and me happy! 🙂 Have a great weekend! 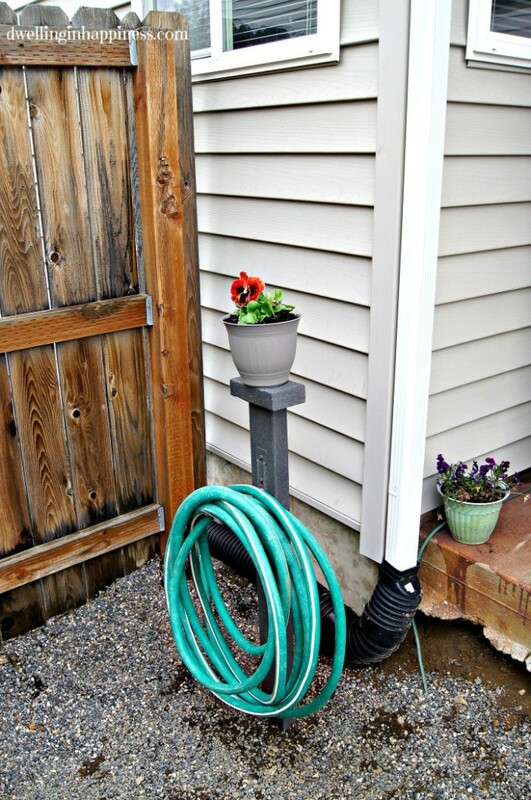 My hose is literally wrapped in a ball in my backyard… this is such a great idea, and so practical! Haha, mine was too. But not anymore! 😉 It’s been working great so far, and I love that my yard actually looks cleaner! Ha. Amanda, what a clever idea! I love simple and functional projects, and this is both! Thank you, Jenny! I’m totally a fan of simple and functional projects too, especially when they help organize the yard! 🙂 Enjoy your weekend! Really cute idea, Amanda! I love that it’s stand alone for places where you can’t/don’t want to attach a hose rack to your house. This would totally make a great housewarming gift! I love the color you chose too! My MIL isn’t a new homeowner but her hose is always all over the place so we might just have to make her one of these! Thank you, Sydney! We are so happy that it work so well and that it’s so practical! I bet your MIL could definitely use one of these bad boys! And they’re cheap to make, too. 🙂 Hope you’re having a fabulous weekend! Thank you! I always appreciate your pins and tweets. See you Monday! Oh man, I need like four of these! Perfect idea Amanda!! What a great idea for garden! 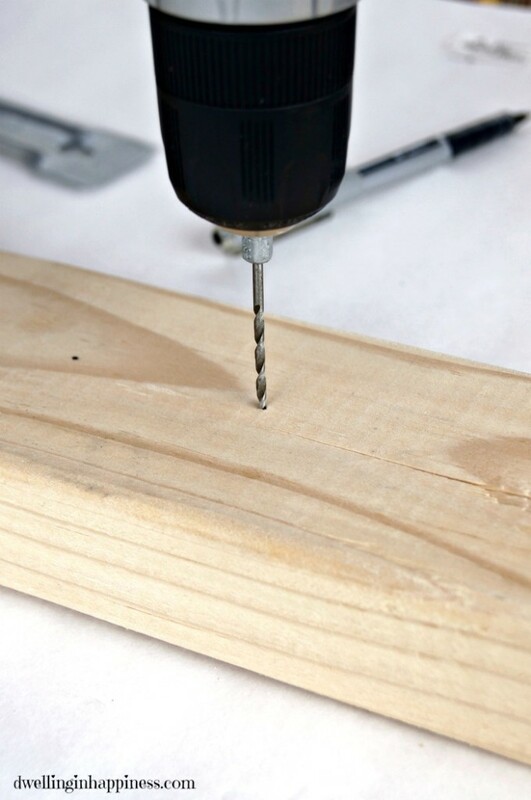 I’m a sucker for DIY projects. This really motivated me, Amanda. Glad to have found your site! 🙂 Bookmarked it! Hi Amanda, thank you for this great tutorial. 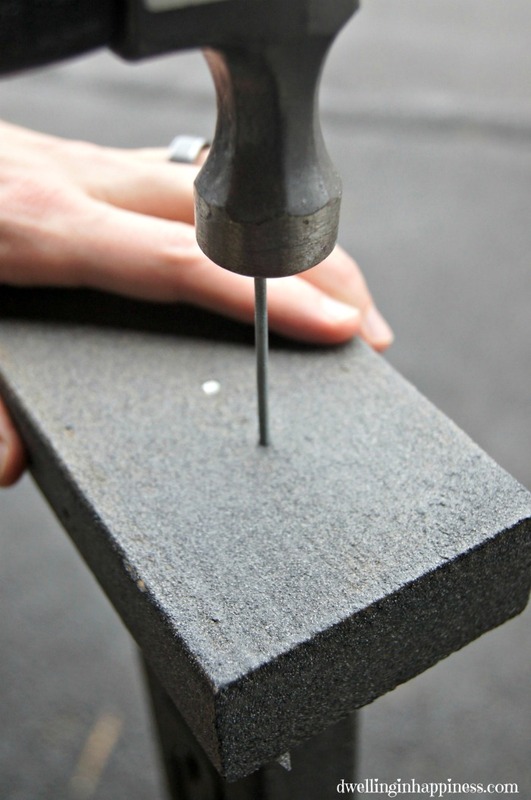 Not many tutorial we see nowadays are detailed especially on important DIY topics like this. It looks great and really much better than a hose reel. I definitely need one of these.